Retractable screen doors are a great choice for main entrance doors where you dont like the look of a storm door but still want to have air circulation during the times you leave the door open. 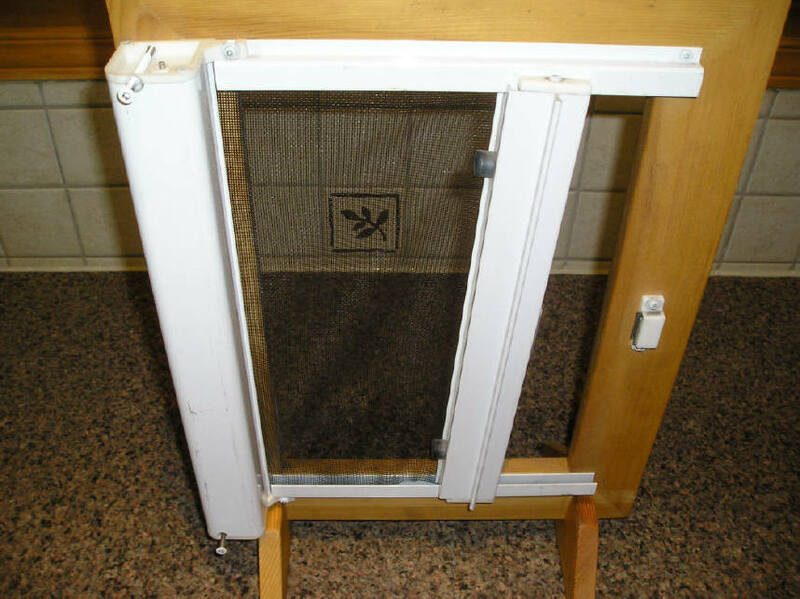 Retractables pull out from the side just like a window blind. They lock closed with a magnetic catch so you can leave the main door open and allow air to come in. So long as fido does not see a squirrel and blast through it like an express train the retractable door will spring back into place. Retractable doors are held on by only a few screws and they are not a difficult project to install by the do-it-your-selfer. So long as you have a door for which the retractable door was designed, you will be fine. 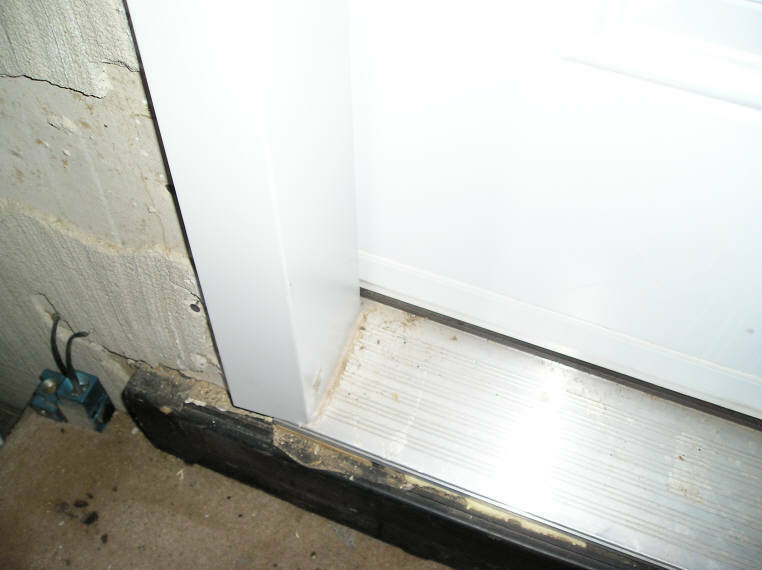 One drawback to these doors is that if the cloth ever does get ripped, you generally have to return it to the manufacturers premises to get it repaired. This could be a problem if the manufacturer is not local or worse, goes out of business. With the increasing popularity of these doors, more local glass shops may take an interest in stocking parts and taking on repair jobs for them. Check the demonstrator model in the store to see how well it slides. Pay attention to the glides at the top and bottom of the movable bar. Does it bind if a child tries to open the door down low ? Are there safety bumpers to prevent it snapping back in the housing too fast. Does it come with a good lock or is this optional ? Does the manufacturer make repairing an easy proposition ? Will they let you buy a replacement roll at the same time you buy the retractgable ? 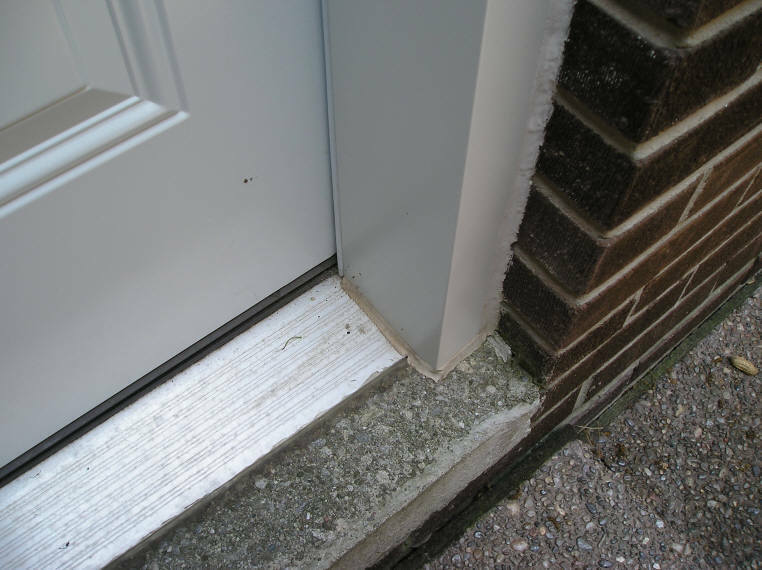 When you stand outside your front entrance, is the hinge on the left or right side ? You will need this information to purchase the your retractable. Does your front entrance swing in or swing out ? Most retractables are made for in swinging entrances. Buying a replacement roll from the manufacturer at the same time you buy your retractable screen doors is a good idea. One problem with retractables is they generally have to be repaired by the maker. If you have a spare roller, when the screen eventually gets ripped, you have options. You can reinstall the spare roller yourself, or have the factory or a glass shop do it for you. Without a replacement, you might be faced with shipping a broken roller hundreds of miles to the manufacturer. It might actually cost more to ship the roller back and forth than the repair cost. The vertical bar on some retractables can easily bind or jam. This may happen when a child tries to open the door and grabs the bar lower than an adult would. Installing retractable screen doors on a single entrance is not really a difficult task. 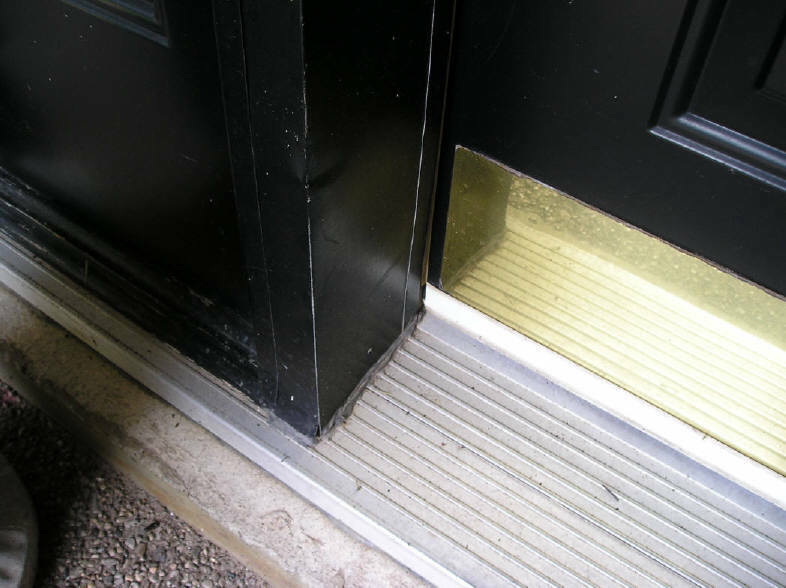 The only things you have to be sure of is that these doors require a flat level uninterrupted surface for mounting. Thats not always the case with your typical home front door. The frames may be warped and out of level. Your lower sill may stick out in front of the frame or it may be behind it. In either case you will need a "sill adapter" from the retractable door manufacturer so that his retractable will fit your frame. Once you have a perfectly flat uninterrupted plane to mount on all you have to do is hang the main retractable cassette tube using 2 or 3 screws on the hinge side. You have to hang this as parallel as possible to the existing frame. Once the tube is hung, mount one upper guide rail with 2 or 3 screws. Use a carpenters square to get the rail perfectly square to the tube. This is the most critical step. If the guide rails are not perfectly square to the tube, the retractable will bind. It will not operate properly. Once the upper rail is attached, you can mount the lower rail and open the screen door to bring the lower rail into the correct position. Screw the lower rail in place as you open the retractable more and more to the fully open position. 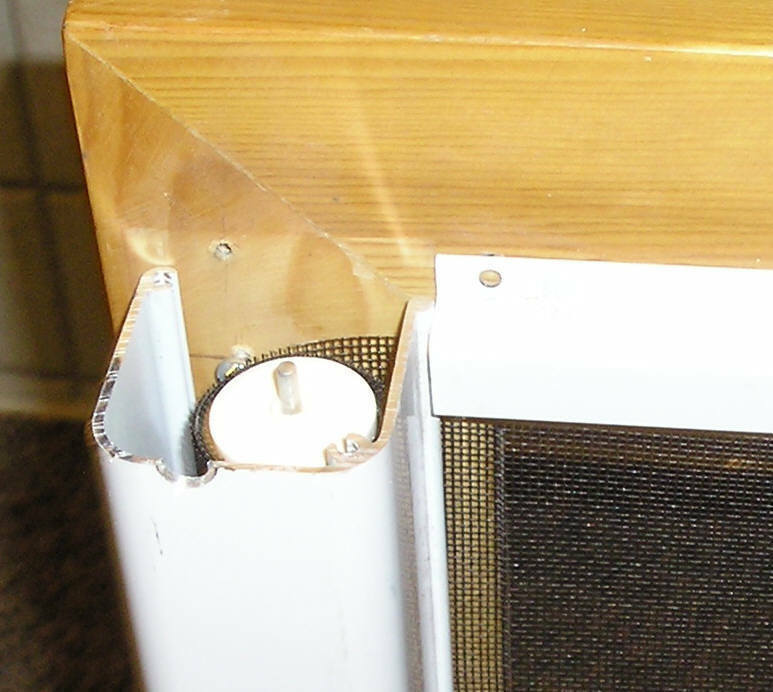 Check this link for my page on repairing retractable screen doors, there is also a place for you to post your own comments and experiences as well as photographs. This front entrance has a sill that extends past the casing. Some screens will require the lower track to be attached on top of this sill. This may create a trip hazard.